If you’re looking for some photographic food inspiration, then look no further than Instagram. The photo-sharing app is packed with beauty shots of homemade dishes—it’s enough to make you drool over your phone. If you’re a healthy eater or strive to be, clogging up your feed with junk food can be too tempting. 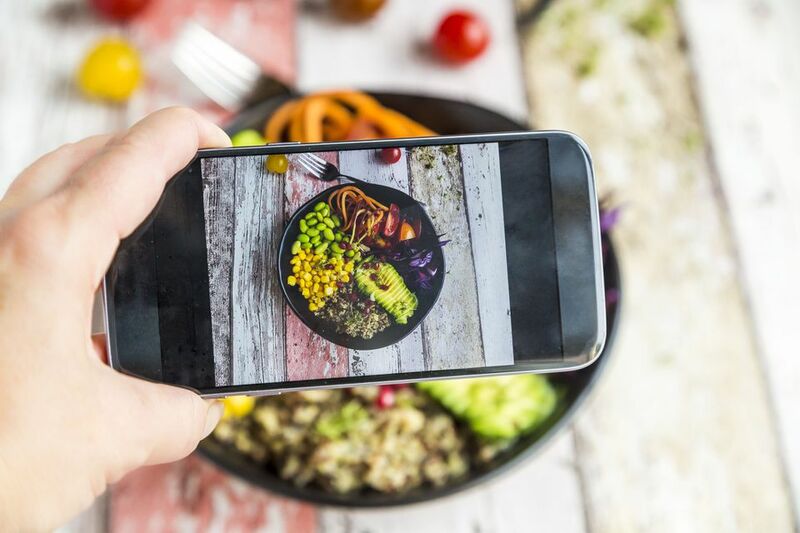 Make sure you’re getting inspired by the right kind of foods by following the health-conscious Instagram foodies below. Run by clean eating writer Carina Wolff, this Instagram account is vibrant and packed with flavor. Her toasts and sandwiches are especially mouth-watering. She includes simple tips for each featured recipe, leaving room for you to tweak dishes to your tastes and diet. Sapana Chandra focuses on plant-based recipes for her picture-perfect Instagram account and blog, Real+Vibrant. Her fresh and tasty bowls featuring super food ingredients like sweet potato, avocado, and kale will have you inspired for breakfast, lunch, and dinner. For a well-curated collection of creative vegan recipes from across Instagram, follow @veganvultures. Each photo includes a link to the original account and recipe so you can get cooking. Busting with colorful photos of vegan dishes, Cherie Tu’s Instagram includes a range of dishes for workout buffs like herself. Her overhead shots of meals are especially nice to look at and might inspire your next party. Bonus: most posts include a detailed ingredient list and directions for the pictured dish. This France-based recipe developer posts beautiful plates and bowls of healthy pastas, roasted veggies, and salads. Her recipes are nice and simple and are perfect when cooking for one or two people. She captions in both French and English, too! This bright and hunger-inducing Instagram account features recipes from a blog of the same name, The Almond Eater. Many of the simple recipes are paleo and Whole 30-friendly, so there is something for every diet. For quick and easy vegan recipe ideas, check out @plantbasedjane’s feed. She provides simple cooking tips for creating flavorful veggie dishes for every meal, like this plate of spaghetti with garlicky mushrooms and spinach. Carrie Walder is a dietitian, so no wonder her photos feature well-balanced meals made of veggies and lean protein (sourdough toast with roasted red peppers and goat cheese, anyone?). Who knew healthy could look this delicious? A photographer as well as a recipe developer, @michalakramer and her lovely food photos and recipes are only occasionally interrupted by travel photos. They’re so transporting, you won’t even mind. Healthy eating doesn’t have to be all avocado toast and acai bowls. Follow @cupcakeree for healthy and flavorful takes on Indian dishes that you can make at home. She includes recipes in her stories—screenshot them for later. Let @healthyminutemeals do the meal-planning work for you. 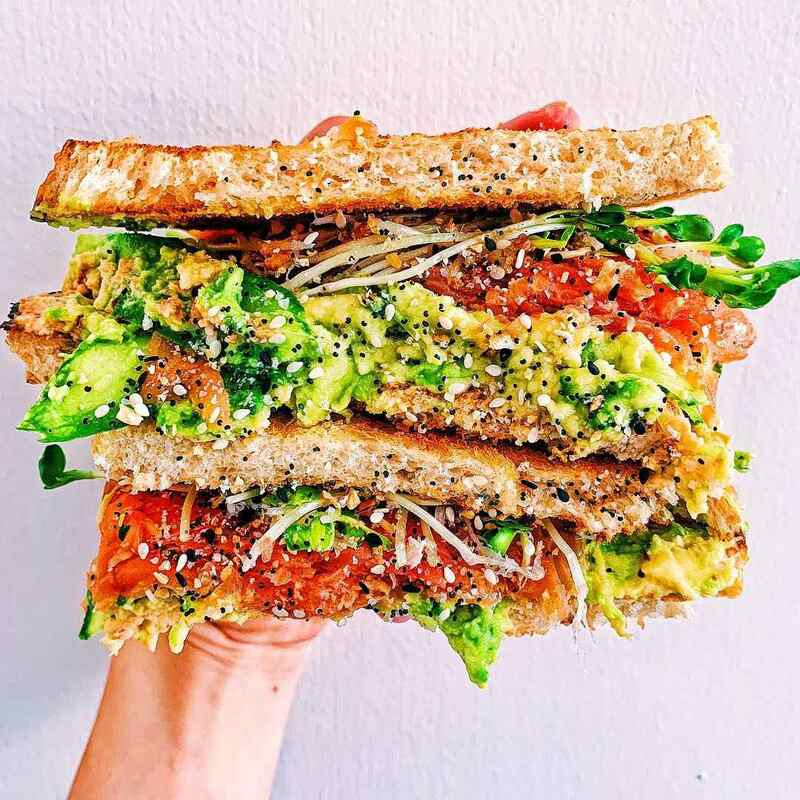 The popular Instagram account collects high-quality, healthy recipes from around Instagram and puts them in one mouth-watering feed. Photos feature links to the original account and recipes. Simple dishes like dips, soups, and beautiful appetizer spreads fill @foodbymaria. The Canadian food stylist, photographer, and writer will inspire you with her picture-perfect dishes. There’s something zen about nutritionist @sara.haven, with the same plate and background framed the same way for every meal. Each one is delicious in its own way and with dishes like garlicky cauliflower pasta or paleo pumpkin spice pancakes, they'll please even the pickiest eaters. The mom of three showcases a cornucopia of healthy recipes with detailed instructions, featuring well-rounded meals with veggies, protein, and fiber. She is a nutritionist, after all! Try her bowls featuring chickpeas prepared a myriad of ways. For photo-ready and nutritionally-balanced meals, follow Caitlin Greene of @star infinitefood. Her easy-to-follow recipes are right there in the captions and feature a variety of lean proteins and fats. They're especially good for fitness enthusiasts. Featuring recipes from the Eating Bird Food blog, this account includes lots of tips for balanced diets and recipes for nutritious meals, including meal prep. Founder Brittany Mullins gets creative while staying healthy and one look at her feed will inspire you to do the same. This UK-based nutritionist emphasizes eating whole foods and a balanced diet over counting calories. Her picturesque feed will have you saving her simple recipes over and over. Plant-based recipe developer Emma Hyslop showcases recipes from her blog on this Instagram feed. Recipes are often also vegan, gluten-free, and/or paleo. Her breakfasts are especially tempting, like these cornmeal banana pancakes.